Thanks to our craftsmen's repair work on our new and old stocks, as well as second-hand goods, these items seem to be completely reborn and look like "new" products. After polishing, Go stones recover a shine which makes them look just like new. 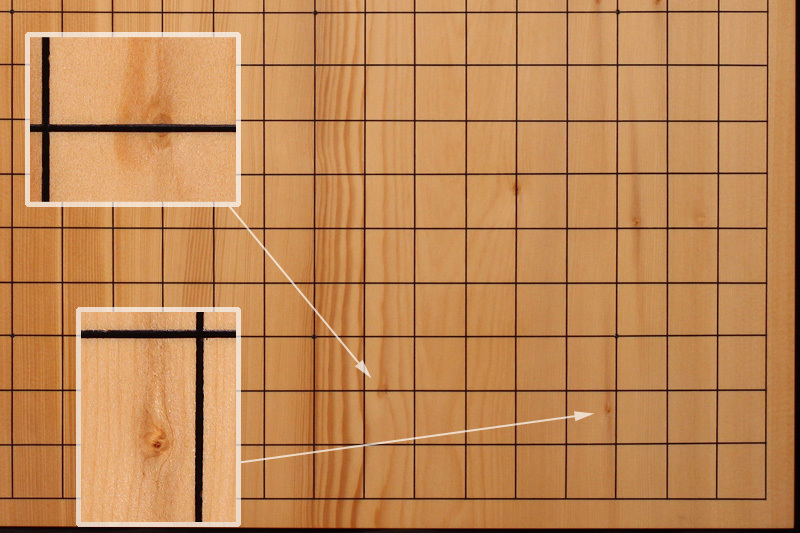 After shaving the surface of Go & Shogi boards, the fragrance of natural wood can be once again appreciated We try our best to describe the condition of our repaired products as precisely as possible using pictures and text. Please order items only after checking and accepting their condition. Thank you. This is a repaired board, carefully shaved and marked by long-experienced craftsman. 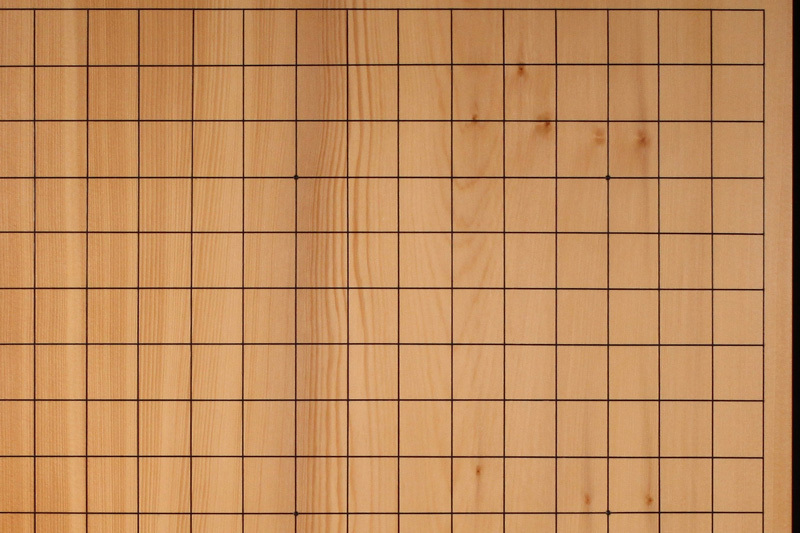 The lines of a board are marked using Tachi-mori, the skill of drawing lines using a Japanese sword. 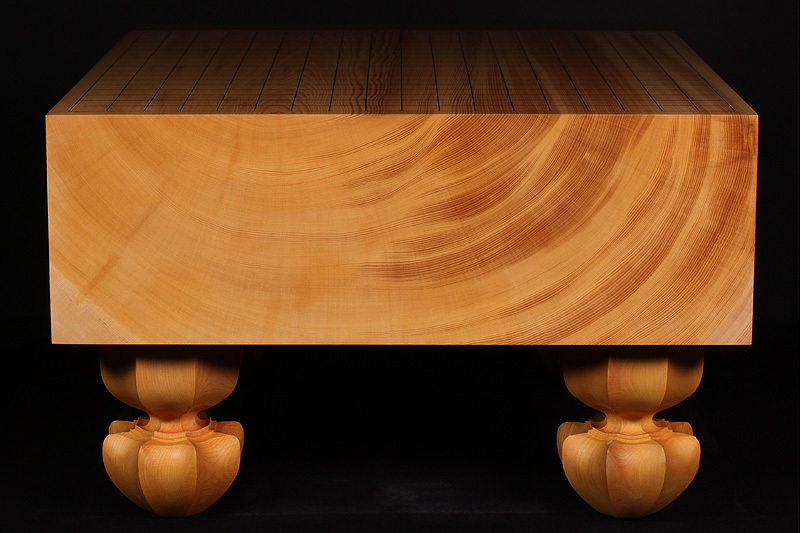 This traditional technique highlights the beauty of natural grain patterns and the texture of lacquered line is smooth and has also a nice feeling. It looks as same as a brand-new board as entire surface is re-shaved and lines are newly marked. 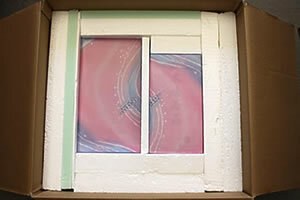 There is a Itame part in some of top surface. The surface of top board has a dent, flaw. 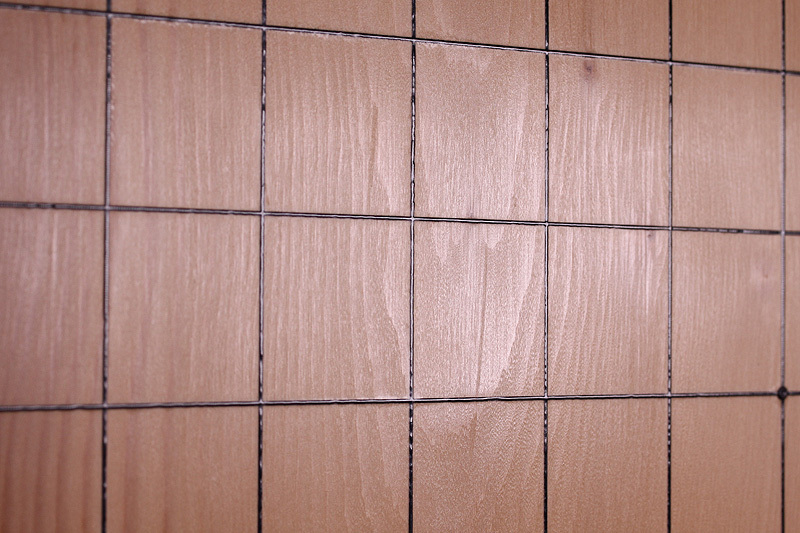 Top surface and side have intergrown knots. Cutting side has a stain. Please check in the photo image.